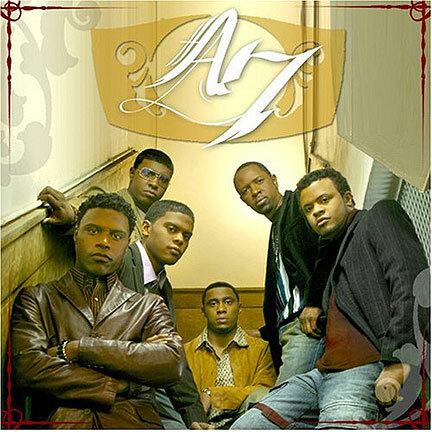 Singing together since 1987, A7 is made up of 6 motivated and talented brothers from one family whose first names all begin with A: Arcelious, Alonzo, Alexander, Andronicus, Antipas and Antonio, sons of Pastor and Mrs. James L Harris. The 7 refers to the presence of God in the form of the Holy Spirit which motivates and leads their music ministry and had led them in their preparation for lives of service for Christ as well. The 7 also in Hebrew scripture signifies maturity. When they sang together when they were younger boys, they called themselves A-Boys. Now that they have matured mentally, musically and spiritually, they call themselves, A7. Their parents did an excellent job of not only loving them individually, encouraging them to get an education but also in guiding them down the path to the Lord as well. Pastor and Mrs. James L Harris raised and nurtured Godly, motivated children who can depend and grow in the Spirit; a goal which is pleasing to the Lord. I bet Pastor and Mrs. James L Harris had an active prayer life, a close walk with the Lord themselves and were Christ-like examples, showing their children what having an active Christian faith life style meant / looked like. The basic family principle followed in the Harris household, throughout their childhood and youth, by both the parents and children, was "We have come this far by faith, leaning on the Lord." This belief was relied on and practiced in action, and became a solid foundation to remember to depend on the Lord. The results of leaning on the Lord and learning to trust Him in each of their lives has been stunning, in that they have fully developed, or are on their to do so, their individual gifts, talents, interests, through the leadings and power of the Holy Spirit, as they grew in their relationship with the Lord. They served the Lord and His Gospel on several fronts, besides their music ministry. Arcelious - Drummer, singer, songwriter and lyricist, and also designs clothes. He is founder of D'Clipse Designs. Currently, besides playing music with his brothers, he is a student at LaGrange College studying music and business management. He also produces and helps to develop other "aspiring artists." out of our ministerial experience is seeing my peers be inspired by the lyrics that we sing." Prolific drummer, organist, pianist, lyricist and composer for both popular and classic musical compositions. His talents showed themselves early when he was a young child. His educational credits are impressive. Graduated from LaGrange College with a degree in Creative Music Technology. Earned a Masters of Music with a concentration in Contemporary Improvisation at New England Conservatory in Boston, MA. Oh yes, he can sing as well! Alexander - Lead singer with 2 Master degrees who has been blessed with a powerful voice. He is classically trained singer, and has toured with the LaGrange College Tour choir, and a winner of the NATS award for his abilities in singing classical music. Also having a heart for the ministry, Alexander graduated from LaGrange College with a BA in Human Services and Psychology. He then earned his Masters of Social Work at Boston University, and went on to earn his Masters of Theology. He uses all his gifts to minister the word of God through music and reaching out to those in need. Has served as a youth pastor and singing evangelist in his churches. His Greatest Joy: "Reaching out to the community and seeing to the welfare of those in need." Andronicus - Group's electric guitarist and bassist, songwriter - also a pastor and a lawyer! He first earned a degree at LaGrange College completing a BA in English and a minor in Religion. Continuing on, he earned a Masters of Divinity from Candler School of Theology at Emory University. In 2005, He earned the Juris Doctorate at Mercer University School of Law. Being a gifted speaker, Andronicus spreads the gospel message through his preaching as a co- assoc. pastor at his home church and as a traveling evangelist. He also is a youth mentor and counselor. Antipas - Keyboardist, songwriter, producer and pastor / music minister, with 2 Masters Degrees. His musical gifts appeared at the age of 2, as he could play tunes by ear. He earned his first degree from LaGrange College, a BA in Religion and in Creative Music Technology. He went on to earn a Masters of Divinity from Candler School of theology at Emory University and a Masters of Sacred Theology from Yale University. He also has served as an assoc. pastor, a youth pastor and a music pastor, with a real gift of offering pastoral care to high school, college students and adults as well. He is known as a "profound teacher, evangelist and councilor," offering pastoral care to high school, college students and adults as well. His Life Principle: "Do all you can for God and others while you can and through Christ, who is able to strengthen all." Antonio - Contributes his rich tenor voice to the four part harmonies found in A7's vocals. Besides singing with his brothers, Antonio excels as an educator and is a gifted youth minister with a flair for counseling youth. Antonio is a husband to the love of his life, Soraya and father to his children: Alexandria, Damarissse, Giovanna and Jada. He earned his BA in Mathematics from LaGrange College and a Masters of Education from Columbus State University. He also earned ED.S. from Columbus State University. Musical Influences:Influences The Jacksons AL Green The Temptations Sam Cook The Winans Shirley Ceasar The Beatles. As you can see, all 6 brothers are highly educated, living lives dedicated to the Lord, with a variety of ministries, from teaching to preaching to being in a vibrant music ministry. WOW! What a group of hard-working, disciplined brothers, who have developed both their musical & spiritual gifts and talents, which they have used to fully live their faith in Jesus Christ, giving back to their community and to others whom they come in contact with. . 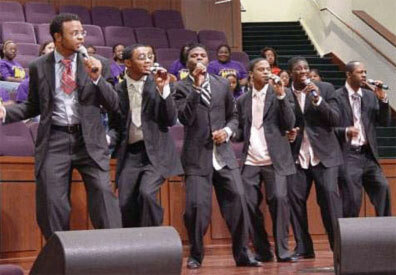 In between their various ministries and schedules, the Harris brothers got together at the end of 2006, and made a debut album, entitled A7, bringing all their musical training and experiences, along with what they have learned and developed spiritually. A7 managed in 2007 to make special appearances and short tours around their regular jobs, developing a strong following. Their music was well-received throughout 2007, even earning them a nomination for Best Song, for DON'T WALK AWAY at the Gospel Choice Awards. When they recently switched record labels, their debut album was re-released in Sept. 2007, with a few bonus tracks; an a capella version of MARY DON'T WEEP, GOD BLESS AMERICA and FATHER STAY. Most of the songs found on this collection of A7's distinct musical style, known as "inspirational urban gospel" were penned AND composed by A7. These songs in this album collection showcase both the vocal talents and their musical gifts as well. The great combination of interesting compositions with meaningful lyrics, propelled by uplifting harmonious vocals and harmonies, truly are a blessing to the listener. Through this debut album, they strive to "whisper peace to the distressed, hope to the despondent and joy to the disheartened, " bringing to light the Lord's good promises and the hope we have in Jesus Christ. A7 is currently working on putting together another album, to be released in 2008.